Thom Jones's magnificent collection of stories presents a brutal and authentic vision of the human condition, in a world without mercy or redemption. The Pugilist at Rest gives us an America of Vietnam vets and ex-boxers, of bitter lovers in trailer parks, of lives passing in brilliant epileptic flickers. These ferocious, semi-autobiographical stories form the debut collection by a distinctive and hugely talented writer. 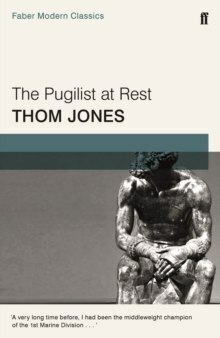 Thom Jones was discovered as a writer relatively late in life, in his forties, by the fiction editors at the New Yorker, who published many of Jones's stories from the early 1990s onwards. The title story of this collection went on to win the O. Henry Award for Best Short Story.